Cattery FORMULA USPEKHA*RUS has been breeding of large, well-dressed Siberian (Neva Masquerade) cats. All our cats have bright blue eyes and wonderful character. They are good friends with kids and other animals. Our kittens are already living and win in exhibitions in Russia, USA, Canada, Germany, Sweden, Finland, Poland, Italy, Czech Republic, Kazakhstan, South Africa and Latvia. NevasLegend – The small cattery of Siberian cats located in Moscow. TICA registered. Siberian (Neva Masquerade) cattery “Velikii Ohotnik” – Breeders of Neva Masquerade (Siberian colorpoint) cats in Moscow, Russia. Our cats and our kittens, look how they grow! 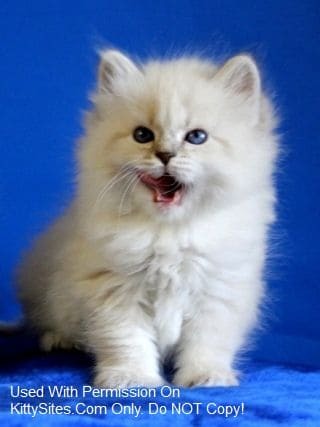 Siberian cattery Talan – Siberian kittens of traditional colors from titled and healthy parents. Delivery to USA.